Every leader will face tragedy at one point or another. It could be the death of a parent or a spouse. Maybe it’s an illness. Who knows what you’ll face but you’ll face it one day. 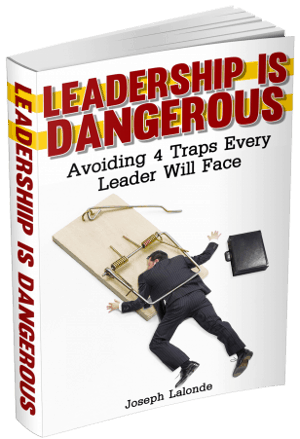 And since tragedy will strike every leader at one point, the same holds true for your team. Each and every member of your team will have tragedy rear it’s ugly face. But what do great leaders do when tragedy strikes? That’s the million dollar question. Recently one of our local high school’s marching bands faced a terrible tragedy. Bass drummer Joey Hekkema passed away after battling two rare genetic disorders. Joey’s immune system was compromised by chronic Neutropenia and hyperIGM. It was a tough battle but he fought it valiantly. For the Mona Shores High School marching band, this loss couldn’t have come at a worse time. The marching band was going full tilt as they prepared for the upcoming marching season. This means frequent practices and traveling. However, the band director knew what to do as a great leader. He knew he must insure every one of the 140 marching band students had the opportunity to attend Joey’s funeral. The band director is ending camp early and allowing the students to go home early. He’s giving them a break so they can be there to honor one of their own. Hopefully the tragedies you and your team will face won’t be as bad as the death of a loved one or a member of your team. And yet I’m sure there will be situations where this is the case. The question is: How will you respond when tragedy strikes? Will you demand that your team stays and completes all of their tasks? Will you give time off so your team can deal with their grief? Will you offer a shoulder to cry on or a counselor to offer help? Will you do your best to ensure that they’re taken care of? How you respond to those questions will determine how your team sees you. In my opinion, you better have an idea of how you’ll respond. And your response better include looking out for your team. Let your team members take care of business: Offer time off, paid or unpaid, to get things in order. To go to the funeral. To show support to loved ones. The marching band instructor knew that the marching band wasn’t as important as the life of the person they lost. Realize this as well. Let your team time to grieve: Losses weigh heavy on people. Their hearts are broken and spirits crushed. Don’t rush them back to work. If you do, they’ll probably be of no use to you anyways during their time of grief. Let your team know there are counselors available: Pain, death, and sickness drain people. They’re tired and don’t know where to go. Sometimes they need guidance and an encouraging friend to move them towards therapy or counseling. Find a local, trustworthy organization that can help them get through the pain. And if you can, offer to cover the expense. Remember, a healthy team member is more productive than an unhealthy team member. Let your team know you’re there for them: People spend most of their day at work. You and your team probably see more of each other than they do of their family. Be willing to let them know you’re there for them doing the struggle. Have an open door. Be willing to listen. Allow them to cry on your shoulder. Offer your support. Question: What do you do when tragedy strikes in your team? Please share your thoughts in the comment section below.